Limited time offer for Apartment Cleaning in LA -- 30% off your first booking! Handy has been connecting our customers with the best apartment cleaning services since we were established in 2012. For those who live in Los Angeles and are living in messy apartments, our apartment cleaning services are fast, reliable and flexible. They're also affordable, so wherever you're living in LA, we'll leave you with a bright, clean personal space you can be proud of. Let Handy handle your apartment cleaning needs while you spend time on more enjoyable pursuits such as spending time with friends and family or heading to auditions. Your big break could be just around the corner! Why use Handy for apartment cleaning services in LA? 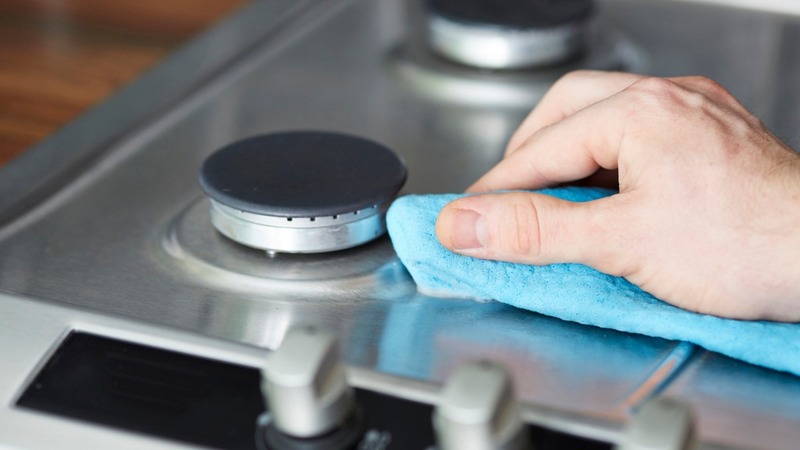 We're affordable – if you do a little research and ask around, you'll quickly find that Handy connects you with apartment cleaning services in Los Angeles that are often significantly cheaper than those of our competitors. We’re convenient – set up your booking online using either the Handy website or the Handy app. You can make your bookings, manage them and even reschedule them if you need to. If something comes up, we’ll easily reschedule a booking -- just give us 24 hours’ notice. Background-checked – we know security is important to you, and so you should be reassured to know that all cleaners using the Handy platform have been vetted before they are sent out to you. Happiness guaranteed – each Handy booking is covered by the Handy Happiness Guarantee, so if you’re ever unsatisfied, we’ll work hard to make it right. Cheap apartment cleaning services in LA add that extra sparkle to your Los Angeles home, get rid of the germs that lurk in the unlikeliest places and transform your home into a personal space you can feel proud of. If you have friends coming over for dinner at short notice, we can be there to whip the place into shape, first thing in the morning. Use the website or our app to arrange everything from anywhere and allow us to help promote your arrangements. Think of Handy’s apartment cleaning services as the best thing you’ve ever done to unclutter your busy lifestyle. Who can Handy help find apartment cleaning services in Los Angeles? Handy’s cheap apartment cleaning services are here for all LA residents who need the best apartment cleaning services available. Our convenience, flexibility, and affordability have made us the providers of cleaners of choice in America since 2012, and our independent professionals have carried out millions of apartment cleaning jobs since then. Leave the apartment cleaning to cleaners on the Handy platform while you take off to chuck the ol’ frisbee around, see the latest Hollywood blockbuster, or spend some quality time with your family. LA is home to Disneyland and the Hollywood Walk of Fame, but as residents know there's a lot more to LA than just these famous attractions. Whether you’re a beach bum or trying to break into the industry, and everyone always has things they’d rather be doing, so it's comforting to have Handy around to connect you with the best apartment cleaning service in Los Angeles. While you're enjoying Griffith Park or enjoying a coffee on the Santa Monica Pier, we'll be looking after your apartment, making it fresh and ready for your return. No matter which neighborhood you live in, Handy has your Los Angeles apartment cleaning needs covered. Maybe you're hankering to join the guys at the Rams game but feel guilty because the condo is in a mess? It won't clean itself, but that’s okay. Go and enjoy yourself anyway and leave Handy to connect you with a talented cleaning professional who will provide you with the best apartment cleaning available for your Los Angeles home. Our apartment cleaning services in Los Angeles are second to none and allow you the time you need to achieve a more rewarding work-life balance in one of the world’s most exciting and iconic cities.